BoldGrid empowers you — regardless of skill level — to build and manage expert-level websites easily and quickly. 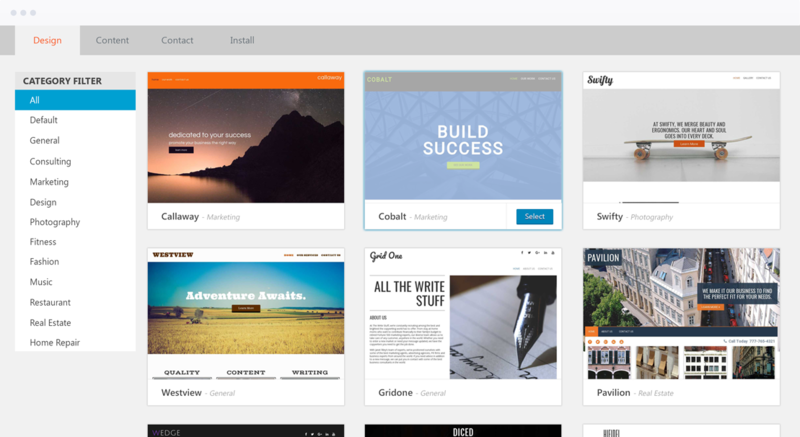 BoldGrid makes design, SEO, security, and backups easier, allowing you to focus solely on creating. So Fast That It Feels Magical. BoldGrid comes with 200+ theme configurations categorized by industry to help you get started. Simply choose a theme, use the drag and drop editor to change the text and pictures to what you want and you’re done. NO shortcodes or coding skill necessary. Just bring your imagination and creativity and we’ll take care of the hard part. Try everything BoldGrid has to offer in a full-featured demo. Easily transfer your demo site to your live WordPress installation. Get access to ALL of BoldGrid’s premium features for just $60/year. You are a Creator. Focus on Creating. Build beautiful, elegant websites with the Post and Page Builder, a true WYSIWYG editor and the enhanced customizer. Get your pages properly SEO’d and ranked in the search engines with BoldGrid SEO. In the background, BoldGrid Backup will automatically ensure the safety of your website. Grow Your Business with Our Powerful, Easy to Use Tools. 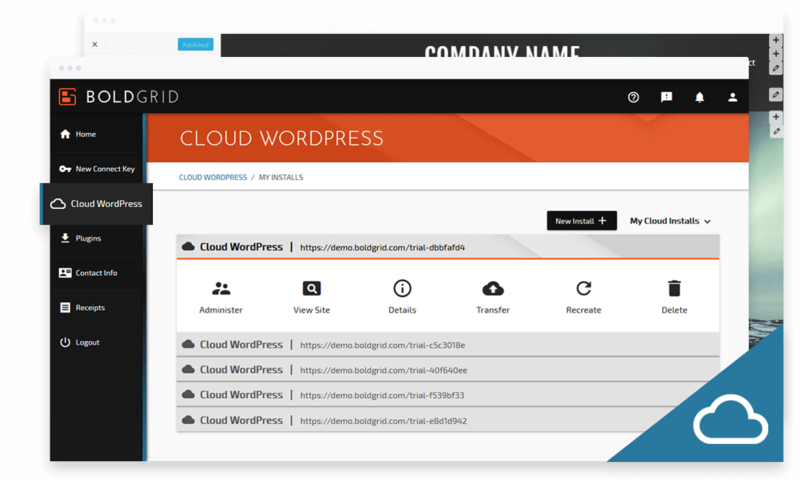 Quickly deploy as many Cloud WordPress installations as you need. Use your multiple installations to show clients multiple designs. Easily transfer the site you need to your preferred host, delete the rest with a single click. Test plugins and customizations without ruining your live production site.